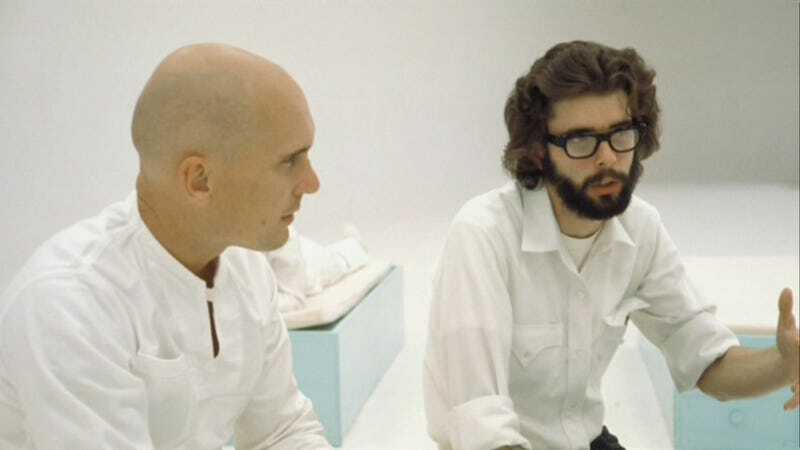 So I finally watched THX 1138, George Lucas' vision of the future from 1971. It's been in my Netflix DVD queue for a while so I bumped it up to the #1 slot for the heck of it. Mild spoilers for a 42 year old movie ahead. What an amazing vision of a utopian future. Soothing monochromatic color schemes and outfits. Simple, easy to maintain hairstyles. Medicine cabinets full of sedatives. The Police Brutality Channel. Seriously, I have like 500 cable channels but none of them has looping footage of a cop beating someone with a baton. What's up with that? And as OMM 0910 says, "Buy more. Buy more now. Buy. And be happy." What?! It's supposed to be a dystopia? Never mind.